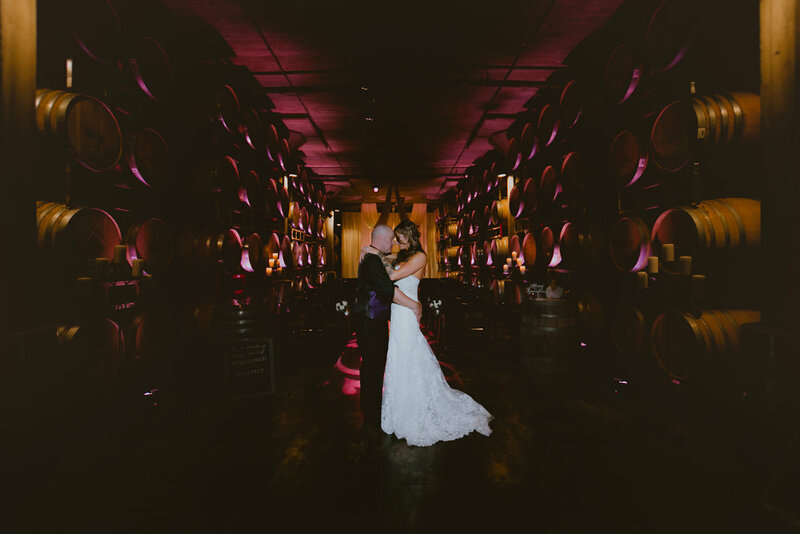 Wente Vineyards barrel room and caves in Livermore California is the perfect venue for this dark edgy romantic wedding. Lavenders, deep purples, dark greys and black made a stunning color pallet for this wedding. 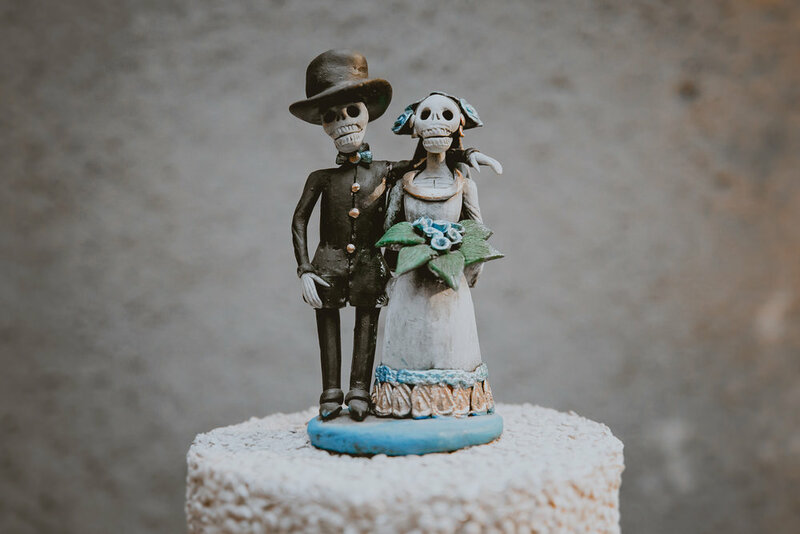 The bride carried a simple bouquet of dark lavender roses, black calla lilies and a dramatic pop of white stephanotis. Her bridesmaids wore dark pewter dresses and carried dark lavender and black calla lily bouquets. The groom and his groomsman had black calla lily boutonnieres. 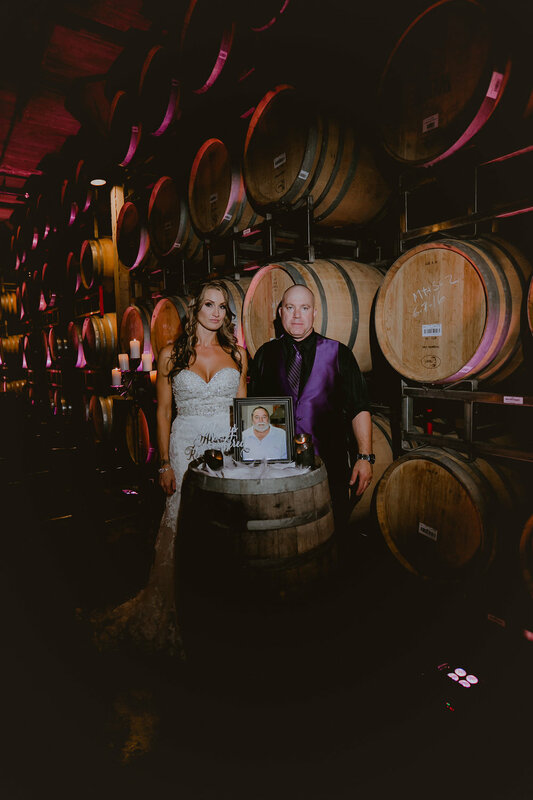 The ceremony was held in the barrel room with purple lighting and ivory drapery and a crystal chandelier at the altar. Silver hanging jars with white roses and black scabiosa lined the aisle. 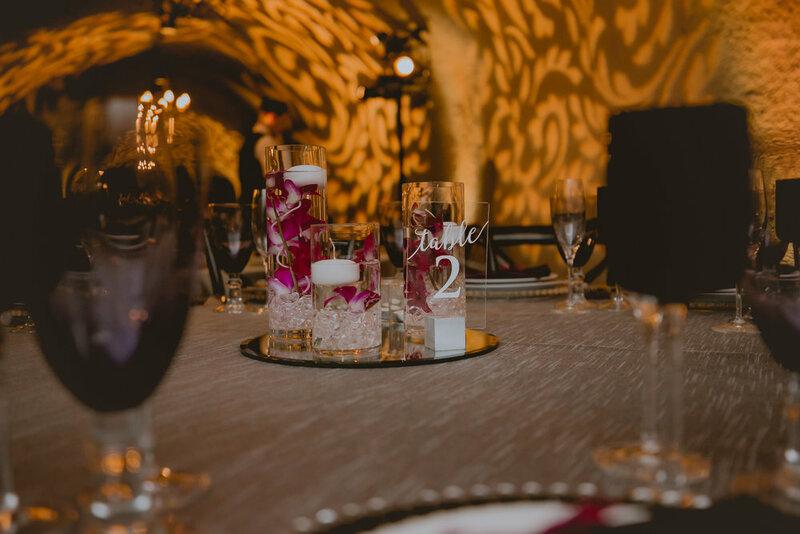 The reception in the caves was romantic and elegant with black cross back chairs, silver linens, eggplant napkins, and centerpieces of cylinder vases with purple orchids and floating candles. 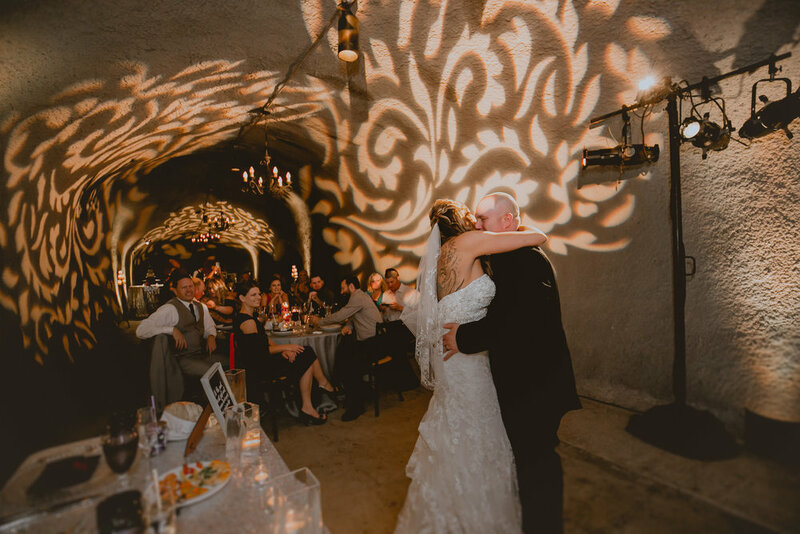 The lovely photos were captured by UV Visions Photography.